There were some strong personal performances despite the breezy conditions at the Mid Lancs League fixture at Hyndburn. This 3rd meeting of the season fell on a sunny Bank Holiday Saturday which no doubt contributed to a low turnout of LPS athletes at this pleasant Lancashire setting. Arguably the most exciting event of the day was the U17 mens’ high jump where Owen Southern (1.90m), Tom Kwissa (1.85m) and Jamie Hopkins (1.75m) all recorded personal bests to take the top three places. 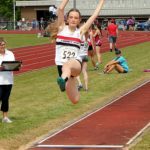 Also in the high jump, Alexander Steele (1.30m) was third in the U13 boys, Niamh Doyle (1.57m) was joint first in the U15 girls, closely followed by Ebony Raw in third place (1.50m). 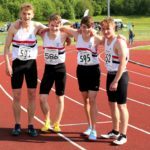 In the U15 boys, Sandy Clarkson (1.70m) took first place, Jacob Garrity (1.55m) was fifth and Michael Henderson (1.45m) jumped a personal best to come seventh. In the U17 women, Imogen Ayres jumped 1.50m to win the event, while Kai Finch cleared an impressive 1.95m in the senior men’s event, taking second place. In the wind-affected javelin event, Hope Kennedy (29.04m) took first place in the U15 girls, Cara Tamburro (16.51m) was eighth, and Roisin O’Connor was tenth with 13.6m. In the U15 boys event, the ever- consistent Bill Steele threw 38.99m to take first place. In the U17 women’s shot putt, Jessica Groves threw 7.62m to take fourth and Bill Steele recorded 12.18 to win his second throwing event of the day. Roisin O’Connor (7.76m) was third in the U15 girls. Jessica Groves also threw 36.10m to come fourth in the hammer, and 21.19m in the discus to take third place. Matthew Ingram (13.81m) took first place in the senior triple jump while relative novice Harry Steele was first in the U17 men’s event with a fine 11.21m. 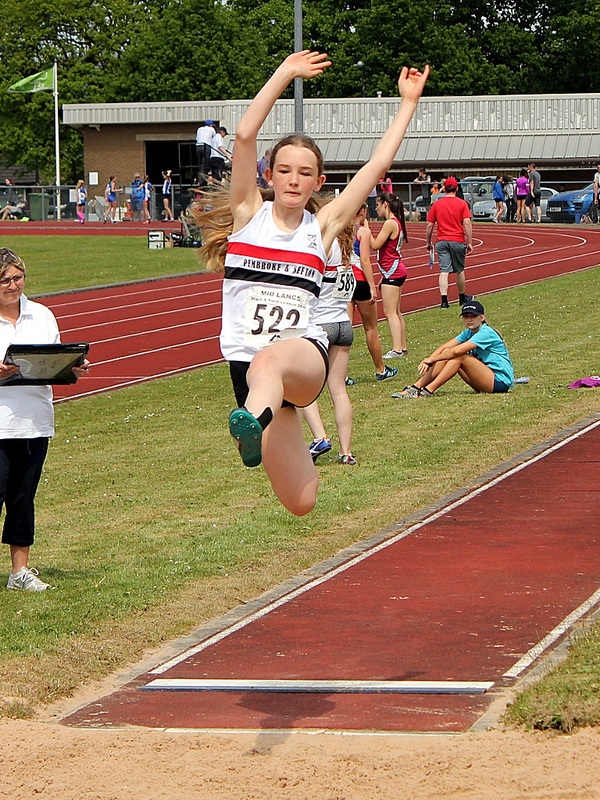 In the long jump, Martha Simms took first place in the U15 girls’ event with a jump of 4.68m, followed by Niamh Doyle (4.46m), Grace Mitchell (4.37m) and Isobel Ascroft (4.27m) in fifth, sixth and seventh places. Thomas Ralfs (4.58m) was sixth in the U15 competition and Jamie Hopkins (5.38m) was fourth in the U17 mens. Erin Birchall (5.21m) and Scarlet Whitfield (4.29m) took first and third in the U17 womens event and Matthew Ingram was a clear first with 6.47m in the senior mens. 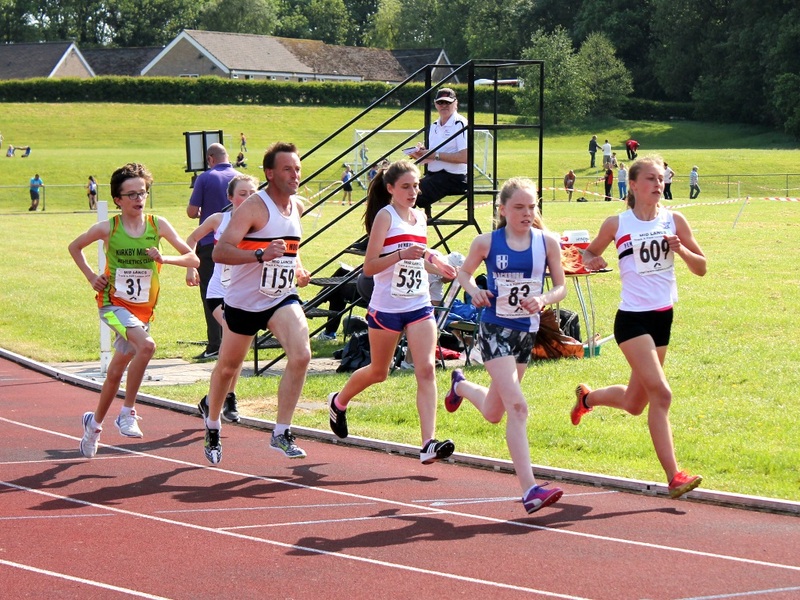 Meanwhile on the track, Alexander Steele (14.70) was 10th in the U13 boys 100m and Amy English recorded 14.70 to finish 9th in the U13 girls event. Niamh Doyle (13.60) was 8th for the U15 girls, while Martha Simms (13.70) was 9th, Olivia Morgan (14.00) 16th and Lilly Crompton (15.30) was 24th. 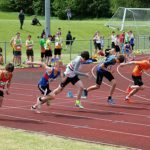 In the U15 boys 100m, Matthew Hughes (12.50) was first, Liam Harrison (13.10) ninth, and Tomas Ralfs ran 13.8 to finish 13th. 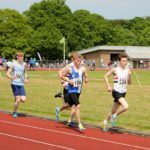 Callum Garvey ran 12.00 to take third place in the U17 men’s event while Ciaran Scroggie (12.2) was fourth and Joe Daniels (12.6) ninth. In the U17 girls competition, Erin Birchall (13.30) was 2nd and Tayla Reilly (14.90) came 9th. 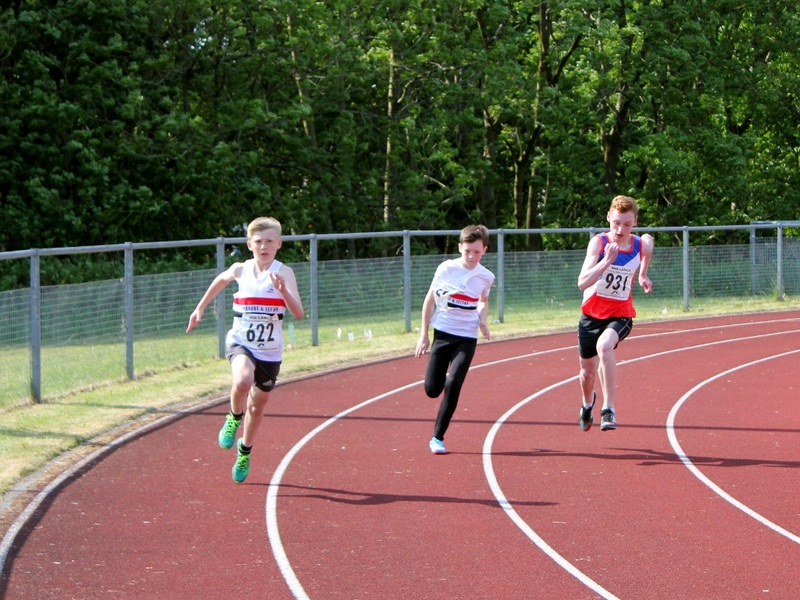 In the U13 boys 200m, Nathan Naylor was 4th with 30.20 closely followed by Alexander Steele in 5th with 30.60, while in the U13 girls’ 200m, Amy English (32.40) was 7th. 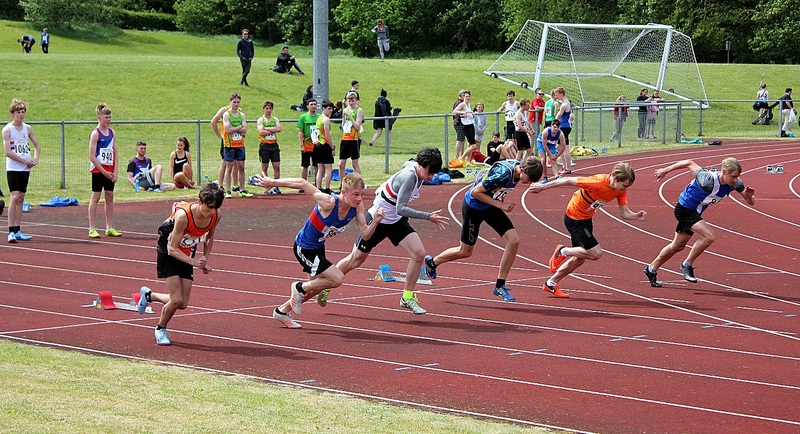 Matthew Hughes (24.8) completed a sprint double in the Under 15 boys’ race while Liam Harrison was fourth with 26.70. 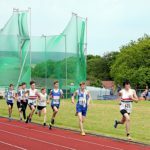 In the U17 men’s event, Owen Southern ran 24.10 for first place, Callum Garvey, (24.5) was fourth, Ciaran Scroggie (24.9) took fifth, and Harry Steele (25.0) and Joe Daniels (26.7) took sixth and tenth place. 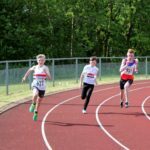 Nathan Naylor (2.37.1) recorded a personal best in the U13 boys 800m to take fifth place and Isaac Dickinson (2.53) was sixteenth. Hannah Williamson (3.04.40) was eleventh for the U13 girls while Jake Dickinson (2.14.7) notched first place in the U15 boys followed by Se Loughlin (2.17.7) in third. 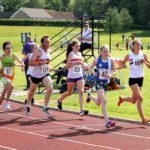 For the U15 girls, Olivia Morgan ran (2.37.30) for eighth in a fast heat, while Emily Williamson (2.44.50) was tenth, Freya Wissett (2.45.10) twelfth and Cara Tamburro (2.46.20) came home in fourteenth. 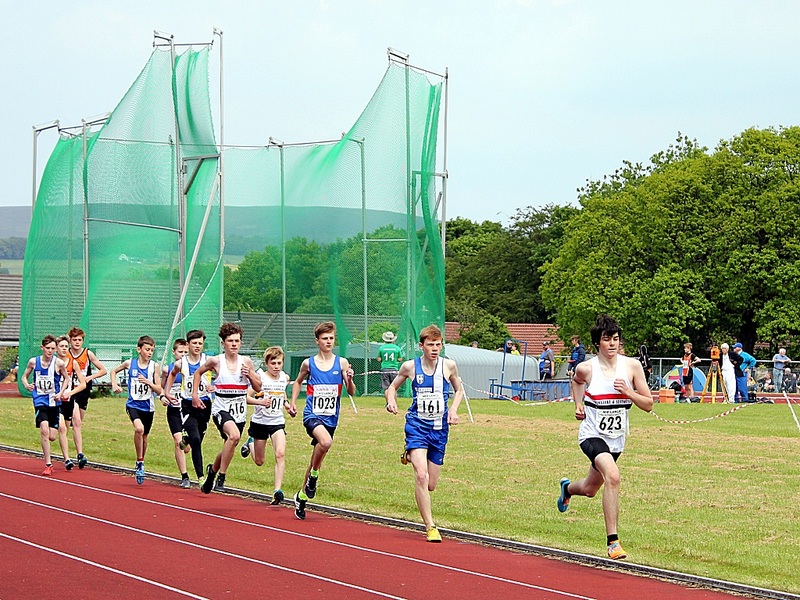 In the U17 men’s 800m, Tom Dickinson ran 2.13.1 for first place while Fletcher Foster (2.23.2) was fourth. In the U13 boys 1500m, Cameron Ayres (5.14.7) took first place, Evan Williams was fourth with 5.37.7 and Harry Corcoran (5.43.8) was fifth. 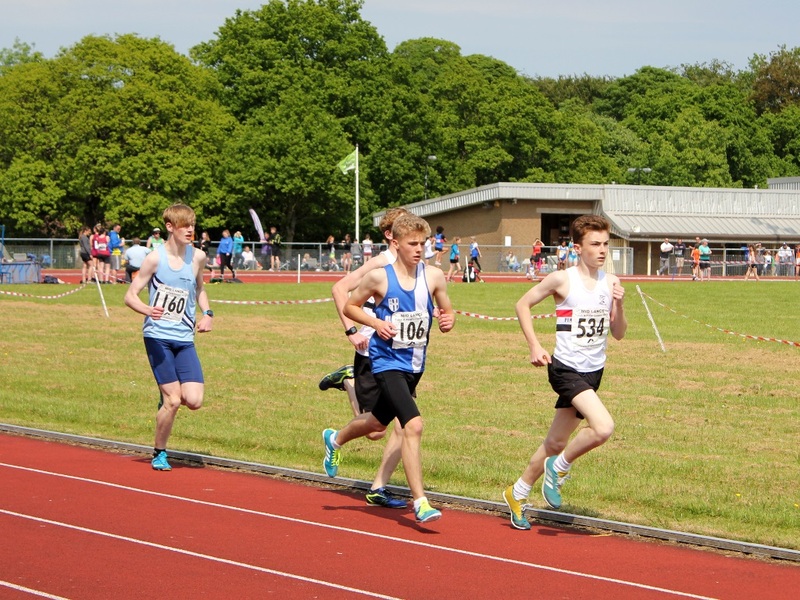 Nicholas Usher ran 5.20.20 to take third in the U15 boys event, while in the U17 mens, Tom Corcoran (4.37.4) was third and OIiver Sutcliffe (4.39.3) fourth, while in the senior womens 1500m, Harriet Foley was first home with 5.35.70. 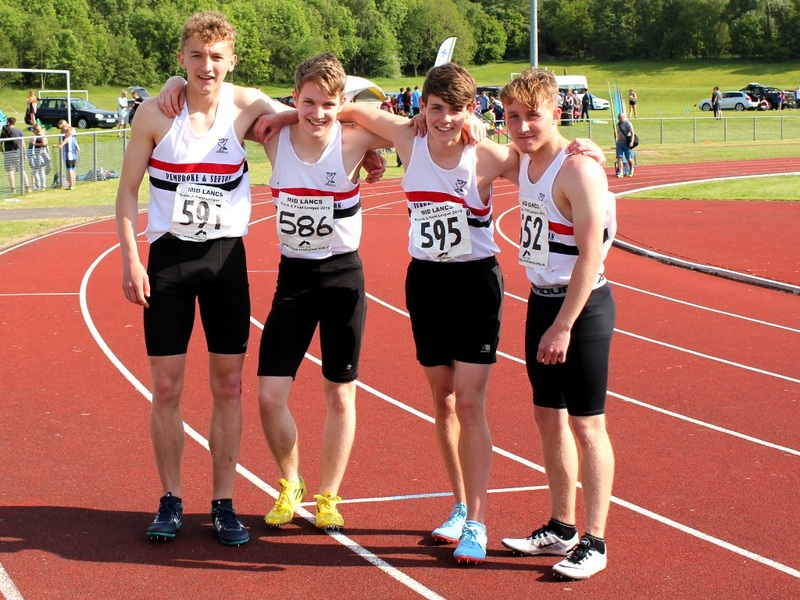 With such depleted numbers there was little of chance of assembling many full relay teams, however the U17 men were still able to round off the day with a strong 46.30 in the 4x100m. Matthew Ingram had a busy weekend after his competition at Hydburn he made the long journey to Bedford to compete against some of GB’s best horizontal jumpers. Matthew was placed in top pool and pitted him well against some very experienced England internationals. On what was a very warm day combined with changeable wind conditions Matthew pulled off his second best jump to date (6.82m).